THE MUCH ANTICIPATED musical from the creators of South Park opens in New York this week, continuing a long line of religiously-themed Broadway shows. The Book of Mormon tells the story of two young missionaries who are sent to Uganda to convert local tribes-people to the Mormon faith. Yet despite containing jokes about racial discrimination, homosexuality and AIDS, Trey Parker and Matt Stone don’t believe the show will attract the same level of controversy some of their other work has in the past, reports Reuters. We didn’t sit down and say, ‘All right, let’s bash Mormons, how should we do it? Let’s spend seven years of our lives writing a Broadway musical so that we can rip on Mormons. We really wanted to just make a very traditional, classic musical. Jihad the Musical features hits such as ‘Jihad Jive’ and “Building a bomb today’, plus the classic, ‘I wanna be like Osama’. For some slightly more traditional but no less comical religious based musical fun, check out this clip from 1973 film Godspell. Whoopi Goldberg turned in a memorable performance as Sister Mary Clarence in classic 90s film Sister Act. A musical adaptation has enjoyed massive success in California and London and is also set to open on Broadway in April. Andrew Lloyd Webber and Tim Rice’s Jesus Christ Superstar told the story of the son of God through the medium of song. Why not. We couldn’t leave out Joseph and the Amazing Technicolour Dreamcoat. 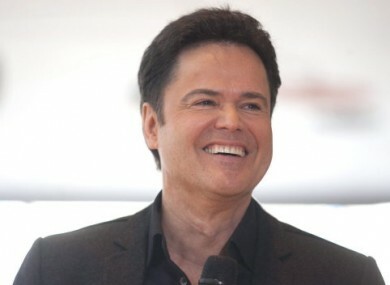 To tie in with the Mormon theme, here’s Donny Osmond in a cage. Email “Mormons on Broadway: Trey Parker and Matt Stone's new musical”. Feedback on “Mormons on Broadway: Trey Parker and Matt Stone's new musical”.